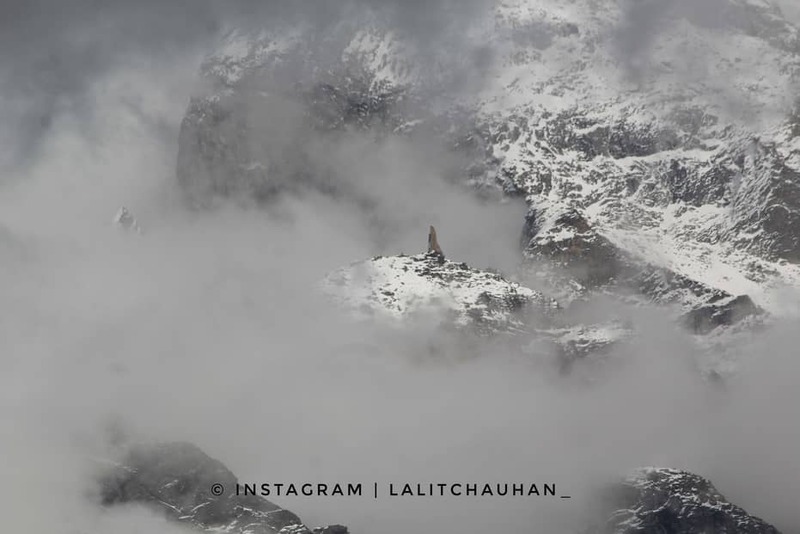 I’ll be sharing my most beautiful memories of my hike on the heavenly Machail Yatra route which I took during the month of October 2018. Yes, it was October and it was the onset of Winters in Paddar. We decided to cover the entire distance in two days time. 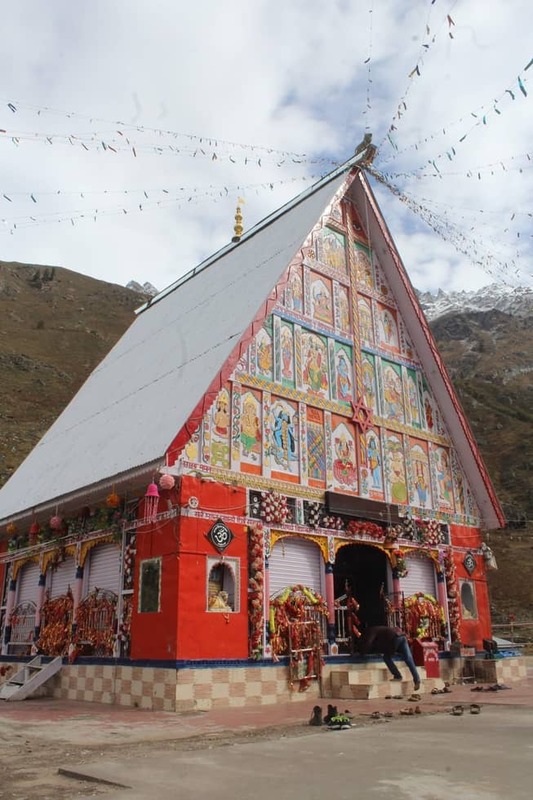 The Machail Yatra route is an uphill journey of around 32 Kms and can be covered in a single day by the young. 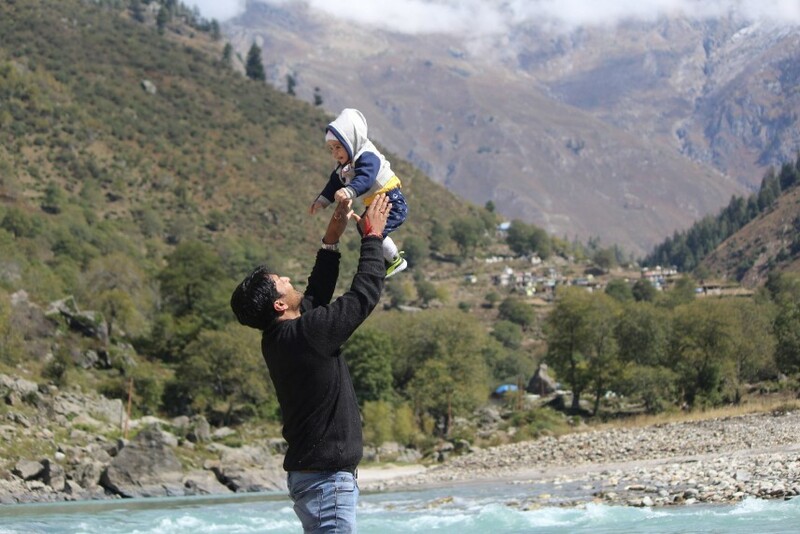 Since I was accompanied by my elderly parents who are both senior citizens, a younger brother, my wife, and a 9-month-old kid it was decided to take it easy on ourselves and cover the entire journey comfortably and make it a memorable one. The reason of my visit during the offseason was the Mundan ceremony of my son which had to coincide with the day of the first Navratri. Navratri being a very auspicious occasion for all the Hindus is the date we selected for the Mundan Ceremony and what better could it be than at the Holy Machail Mata Shrine. The weather forecast at Gulabgarh was cloudy with scattered rains in the evening. There was nothing to worry about the weather conditions as it was sunny in the morning with clear skies as I started my journey with my family from Atholi. Woke up at 6 AM, took the shower and started with the packing of warm Clothes for the journey. Packed light. Took Two jackets, Two Pair of Jeans, an Umbrella, Two Shirts, a Nightwear and a Camera while the rest of the family also followed with packing their baggage. Most important was food. Packed around 2 Dozen Aloo Paranthas with Gobi ki Subzi for the day and baby food and warm water for the kid. The entire Machail Yatra Route becomes a tough journey when there are no Langars around as during the month of August when you wouldn’t bother taking any food with you to Machail Mata Bhavan. The driver was scheduled to pick us up at 8 AM from Atholi and drop us at Massu till the road was constructed. 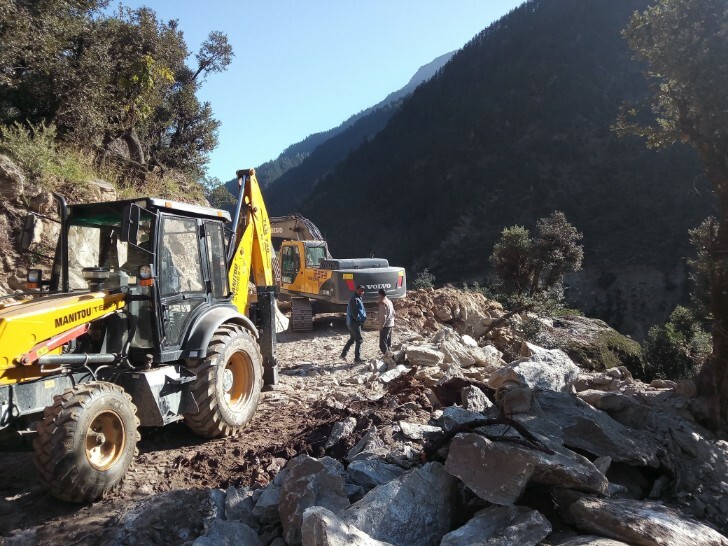 The distance of around 7-8kms is cut short from Gulabgarh-Machail route as the motorable road is slowly making progress towards Machail. The driver Daleep was dot on time and he dropped us safely ahead of the Massu village. Now, begins our journey on foot. Strapped the baby to my chest and a bag at my back we all began our journey chanting Jai Mata Di. As we descend below from the road we see this vast area filled with sand formed by the river called SIAOG. A good spot to relax but we had to rush to reach our targeted halfway halt point at Chishoti on our journey to Machail. Was told by our Driver that there is only Dhaba near Massu within 1 km which is quite famous for its Nan and Rajmah. Went past the Dhaba and found it closed, we might have arrived early as we thought. We had our ration supply for the day so no worries. As we climbed, it started to warm up our bodies and I had to remove the Jacket to keep myself cool. Don’t forget to bring your water bottle along as you might need it frequently as you walk. Next stop was Village Kundhail. A tiny hamlet by the river Bhot Nallah had few Dhabas as we cross the wooden bridge along the river which could satisfy your hunger and shops that could get you Soft Drinks, Juice, and Wafers. We all had tea here at Kundhail. Packed some more Juice and Water bottles with us to keep hydrated and moving further. I am getting thoughts of Bear Grills as I am describing it but I know I am doing nothing of that sorts. Funny, how your mind wanders anywhere. 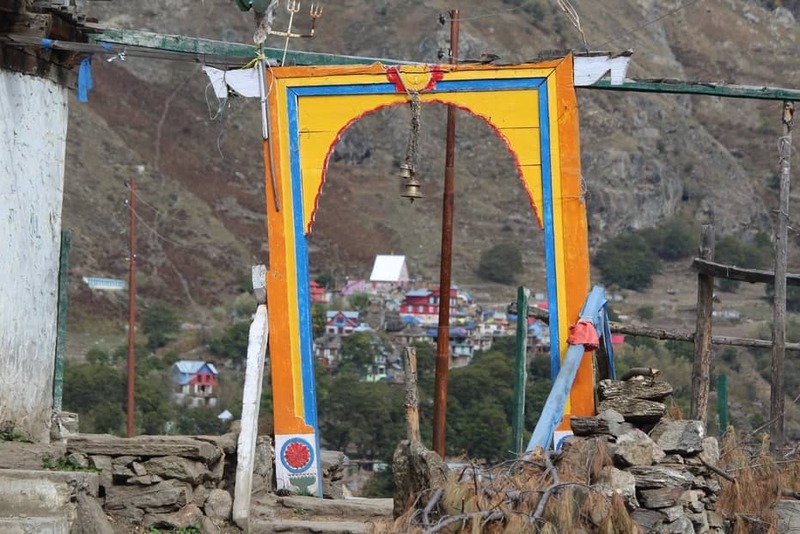 There are makeshift structures erected here by the Sarv Shakti Sevak Sanstha, the Management Body of Machail Mata in this village which is used for Langar Seva. Toilet and Bathrooms are constructed here for the Machail Mata Pilgrims in August. These are obviously closed during this time of the year. Taking a much needed half an hour break here refreshed the body and we start our hike again on the Machail Yatra Route. This ascend from Village Kundhail started to take a heavy toll on the legs and back now. A zig-zag path is what I see from below as I look up. Bhot Nallah is roaring angrily on to my left as it runs down the stream through large rocks splashing water around. It is much calm during winters as the water is less but shows its truest might during summers. A frightening experience this is. Taking short breaks as we climb the steep ascend and we all are badly tired as the ascend just refuses to give up as it tests you heavily. This is where I was sweating heavily and my heart was pounding like a hammer as I take baby steps to top. The most magnificent view of my journey till now as I walk further ahead, I see this vast Delta called Chaatu. Feels like masterpiece painting that is in front of me and I say to myself what an amazing Painter the God is. There is everything that should be in a painting. An absolute calm, the melodious chirping of birds, river flowing by, mountain peaks, trees and few monkeys running as a bonus. 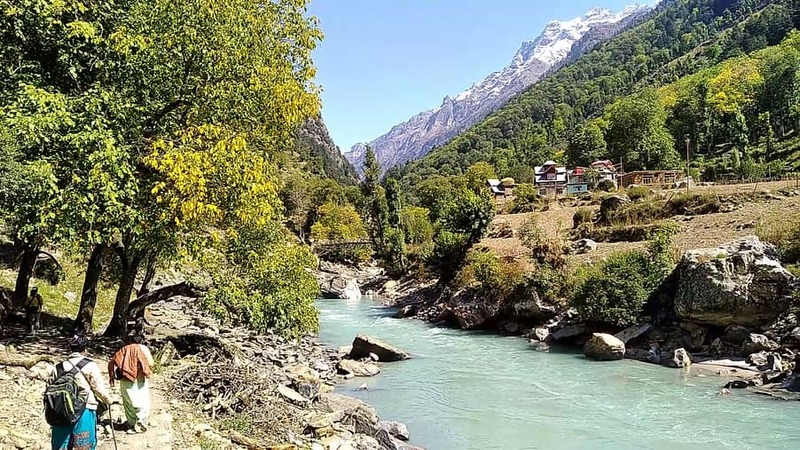 It made me fall in love with this place immediately as I walk past the huge Deodar trees crossing a small stream of water over a wooden bridge. 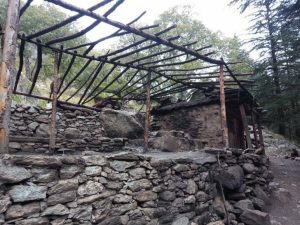 There is a beautiful rest hut built just at the beginning of the valley. I take rest here to click some landscape photos of this place. By now, we all are hungry and found an appropriate spot in the delta to sit and have food that we brought with us. Took a break of around an hour here as we were tired and had plenty of daylight left to reach Chishoti as it was just around a couple of Kilometers away from here. The forecast in the morning now started to come true and we see clouds forming ahead of us and the sun seems to play hide and seek. After walking further away from Chaatu it was a plain walk and there was no major uphill ascend. We walk through the forest which is quiet and see scattered wrappers of wafers, biscuits and what not all over the place. Made me think how we humans are polluting our beautiful forests and how sensitive we need to be towards protecting our planet and teach our children to care for mother nature. We have to cross river Bhot Nallah over a bridge as we reach near Chishoti. This is the infamous bridge that is mentioned in the Bhajan of Machail Mata (Chishoti Waala Pul Hilda). Yes, it does swing a lot I said to myself as I cross the bridge hastily. The locals are busy reaping their crop in the fields and few are packing them over their back to their homes as they look at us inquisitively. Strange, as not many pilgrims travel during October on Machail Yatra Route; they must have thought. Half an hour walk from the bridge and here we reach Chishoti. Absolutely tired and just wanted to lie flat. We had to search for the accommodation first but luckily, I see this Gem of a Person named Mr. Hukam Chand Rathore. He was shaving his beard in his balcony and immediately recognized us and offered his rooms for a halt at his home. Hukam Chand Ji gave us all the facilities that were at his disposal. He is an absolute polite and rooted person who took the pain himself and served us with food, tea, milk, warm water and everything else. May Mata Chandi bless him with good health and everything that he needs, I pray. Woke up at 6 AM and it was raining Cats and Dogs outside. It was decided to not carry on with the journey unless the rain stopped. Had delicious Qadam ki Subzi with Ghee, Rajmah, Roti, and Tea in the breakfast courtesy of the Sh. Hukam Chand Ji. The rain eased at around 9 AM with just drizzles, we suited us up and left Chishoti after having breakfast. Rain settled the dust on the way towards Machail Mata Bhavan so it was a good omen. After Chishoti we climb gradually and there is a thick forest that we have to go through. 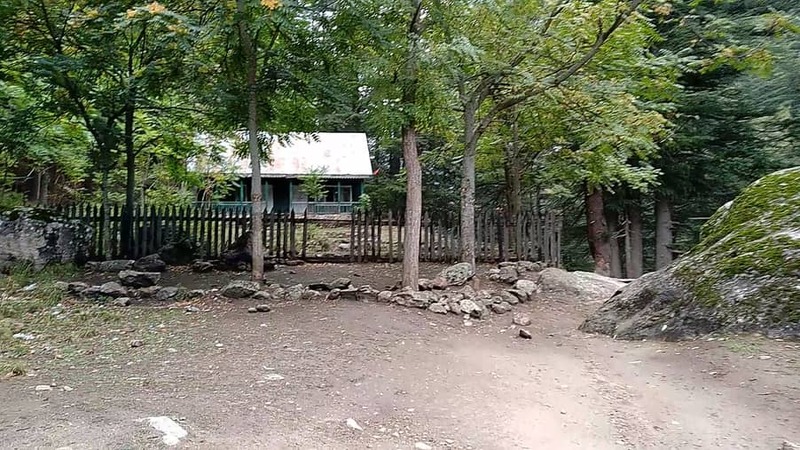 Just ahead, there is a beautiful forest rest house located amidst the trees. It looks very beautiful. We come across many Walnut trees on the way to Machail. The Walnuts have been taken down and packed by the owners by now. There are plenty of walnuts still lying around the path. Picked some up and ate after hammering them with stone. No, these are not breakable with teeth. As we cross the jungle I see Jai Mata Di written on the stones and the distance to Machail painted on them. Traces of Langar structures are visible which probably were having heavy footfalls during the Machail Yatra. The rooftop of these Langars has been uninstalled leaving behind the basic structure built using branches of trees to only install them easily the next year. Next stop is Village Hamori. We have covered around 60 percent distance on the Machail Yatra route by now. 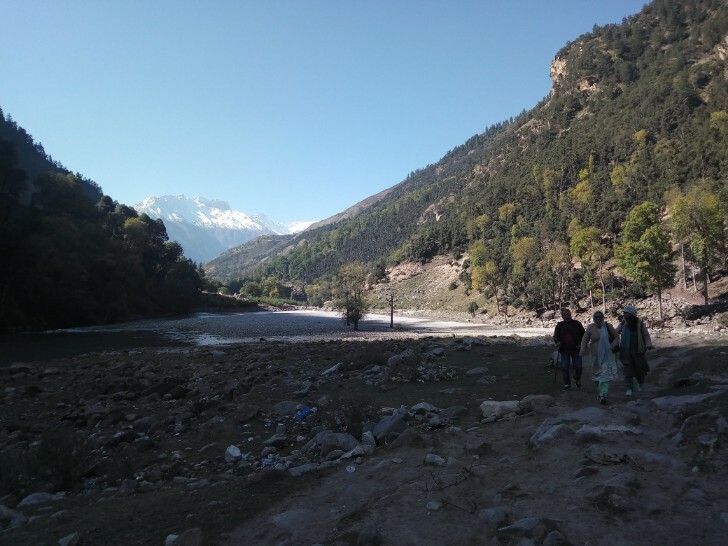 We don’t want to rush up and walk slowly as we have the whole day to reach Machail. My younger brother Rohit is cracking jokes and singing bhajans of Chandi Mata making the journey easier for us. My little baby is sleeping as I carry him and wakes up only to be fed. He is not troubling us by the grace of Goddess Chandi and cooperating very well by HER blessings throughout the journey. We forgot the walking stick at Chishoti. So, had to find a new one for my parents. Not a difficult task as we were passing through the forest. Just as we near Village Hamori, there is another small delta type location where we can rest and click some photographs. Hamori Village is visible from here and it doesn’t look far enough. Spent an hour here at this beautiful location as we were about to start a steady ascend towards Hamori. This village is the last one as we head towards Machail so it is giving us a hope that we have traveled far enough and are very near to Machail. The uphill journey towards Hamori seemed even tougher than the ascend after Village Kundhail. We all were breathless climbing up the hill. My advice here; walk slow and take short breaks to catch up breath or it becomes very difficult to move a step forward. I come across a primary school at Hamori which was open and the kids were busy with their studies here. We covered the uphill slope somehow and it took us a lot of time. The bridal path ahead of Hamori was a bit scary at some places. 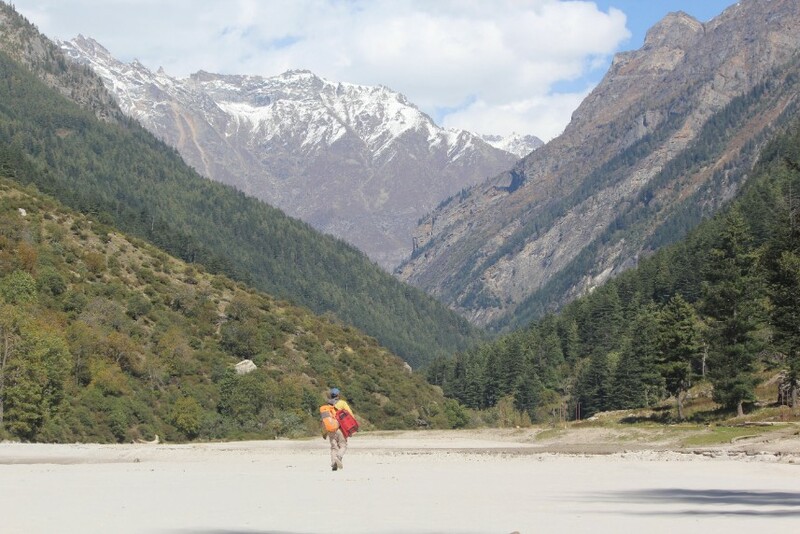 The path runs through some very steep slopes of the naked mountains and deep gorge below where the Bhot Nalla runs. We make your way through rocks fallen from above the gigantic mountains which makes you feel a spec in the wild. The weather was slightly favorable but the wind started to blow heavily as we were reaching the top. The wind started to send the chill throughout the body as every one of us grabbed our jackets and headgear to cover us up as the sweat dried up quickly. After about an hour and a half, we finally reach the Darshni Gate and Machail was straight ahead of us. We bowed our heads down towards Machail Temple and offered prayers. There is a good place to relax at the Darshni Gate as it has been made as a fine resting place by the Sarv Shakti Sevak Sanstha for the pilgrims. Cross the bridge over a small River stream flowing from Haloti and you officially enter Machail. Found accommodation at Sh. Krishan Singh Ji’s residence for the night stay at Machail. The weather once again turned hostile as it rained the entire night as we slept. 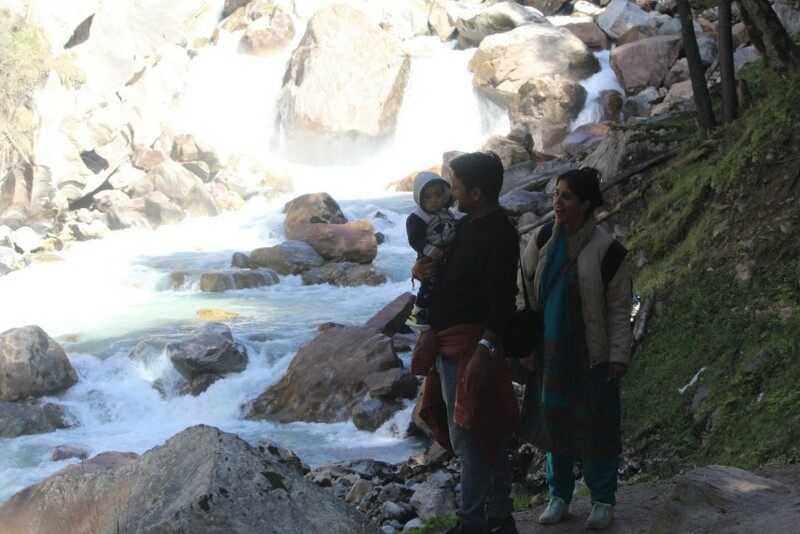 Lucky for us as it did not bother us on the entire Machail Yatra Route. Woke up the next day at 5 AM. It was first Navratri and we got ourselves freshened up and started to cook the Pudding (हलवा) to be offered to Mata Rani. My entire family is really thankful to Sh. Krishan Singh Ji and his entire family who offered their Kitchen for the preparation of Prasad. As the Prasad was prepared we went to the temple by 9 AM and received the blessings of Mata Rani and the head priest of the Temple. Felt really blessed, as my entire family sat in the temple for an hour and had a very satisfying Darshan of Mata Chandi as there was no hustle bustle. The priest then performed the Mundan Ceremony as he cut the hair of my son while the boy sat in my laps very comfortably without troubling anyone and himself. After the ceremony, we offered the Prasad to the devotees present there at the Temple. Decided to spend some time in the Temple premises and gladly Airtel network was live. Talked to family members who could not be here and made a live video from Machail that was posted on Facebook Page. 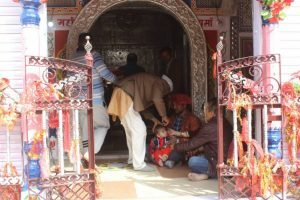 Our journey to Machail was very satisfying by the blessings of Machail Mata and walking on the entire Machail Yatra Route was a great experience that would not have been so memorable if we traveled by air. Do share your memories with us in the comments section below if you have been to Machail. I would love to hear it from you and do share the article. 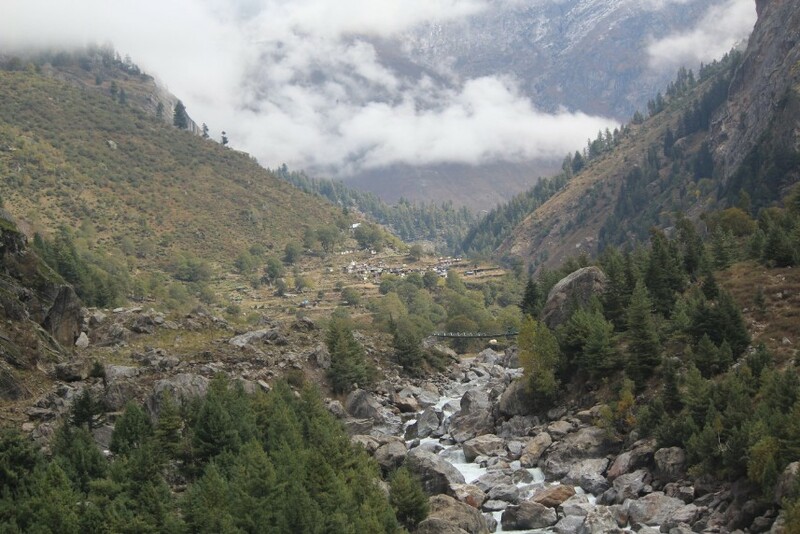 While we can not complain about the natural beauty that Paddar possesses, it was the best. 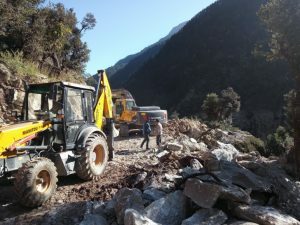 The road and accommodation here are a bit of a problem but the work on it is in progress and we are hopeful things will change for the better. Nevertheless, the experience and memories that you will gain on this trip will stay with you forever.